Information spread is one of the key of success for Agile Teams, the ability to quick find information about a project, definition of UBIQUITOUS LANGUAGE and everything that can be related to the project should be prominent for each member of the project. In this scenario, the information should also be near where it need to be, but at the same time it should be widely available to every member of the team. There are some concepts, like UBIQUITOUS LANGUAGE that should be near the code (name of classes should adhere to the UBIQUITOUS LANGUAGE) but at the same time we want that kind of information to be widely available. There are also other type of information that should be near to code, like guidelines, instruction on how to start working with a project etc, but that kind of information should be available even outside the code. Luckily enough VSTS has a really good solution for this scenario, Wiki that are stored inside a repository. 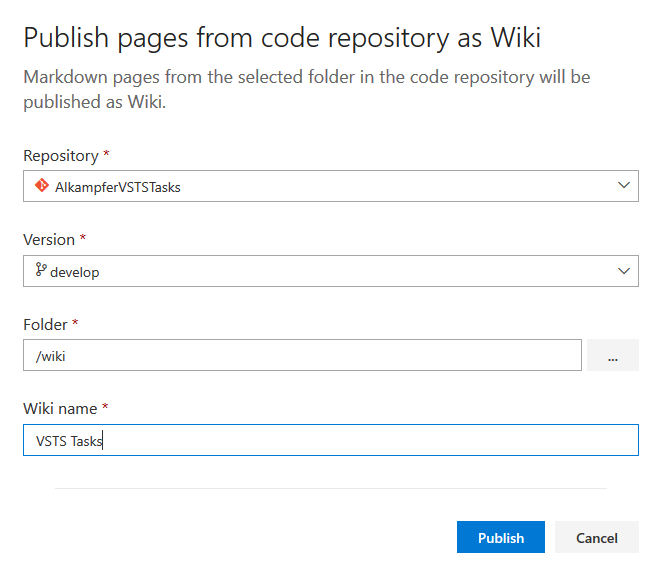 You can in fact use any folder of any Git Repository and starting creating a Wiki in Markdown, commit files, and then have VSTS render them as Wiki in the appropriate section. This has the double advantage of having information into the code, but at the same time the information is available via web wiki. 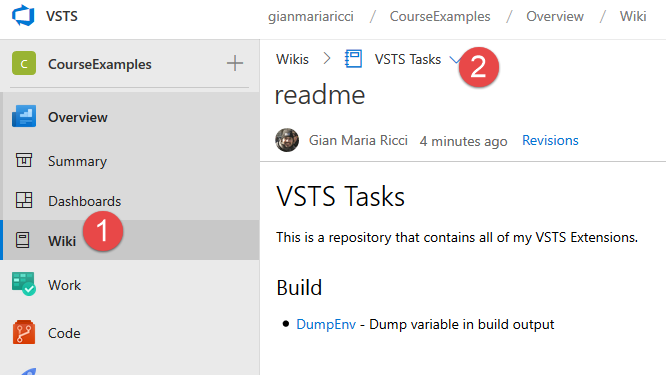 As you can see, markdown files inside code repository can be rendered without problem inside VSTS Code browsing. This is ok, but the information is not discoverable and it is not 100% friendly. Here are the problem: first you need to go to Code Browsing, then you need to choose a repository, know that the wiki is in a specific path (ok if you use wiki folder it is obvious :) ) and lastly you are browsing information in the context of a repository (you have the tree at the left etc. Another annoying problem is that you should understand which branch to use to browse the most up-to-date and correct version of the wiki, Ex: is the Master or Develop branch that contains the most correct and reviewed version of the wiki? If you go on the Overview section of the team project and navigate in the Wiki Section you have the option of publishing code as wiki. 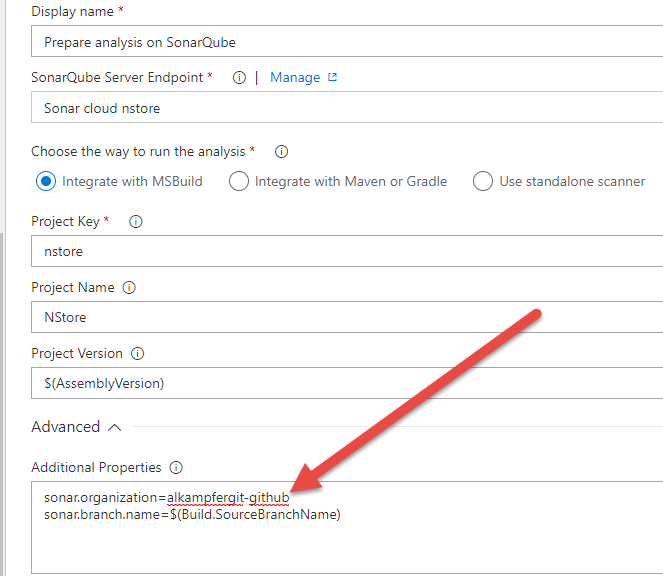 As you can see in Figure 2, it is just a matter of specifying to VSTS repository, branch, path and name of the wiki. Once the wiki is published it is more discoverable, because it is listed in the apposite section of the menu and it has a specific name, that is not related to the repository. As you can see from Figure 3, you have several advantages, first of all everyone can simply open Wiki section and find the information, wiki is rendered outside the context of a code browsing, and you can list all the wiki available for this project with a simple selector (2). The most interesting fact is that the real wiki is implemented as code in a folder of a Git Repository and can evolve with the same pace of the code. If you really care about your documentation, you can also use branching to modify a wiki and create a pull request to validate those modification before they are public for everyone. TFVC shell extension now published as standalone tool. Finally TFVC shell extension was published as a standalone tool. 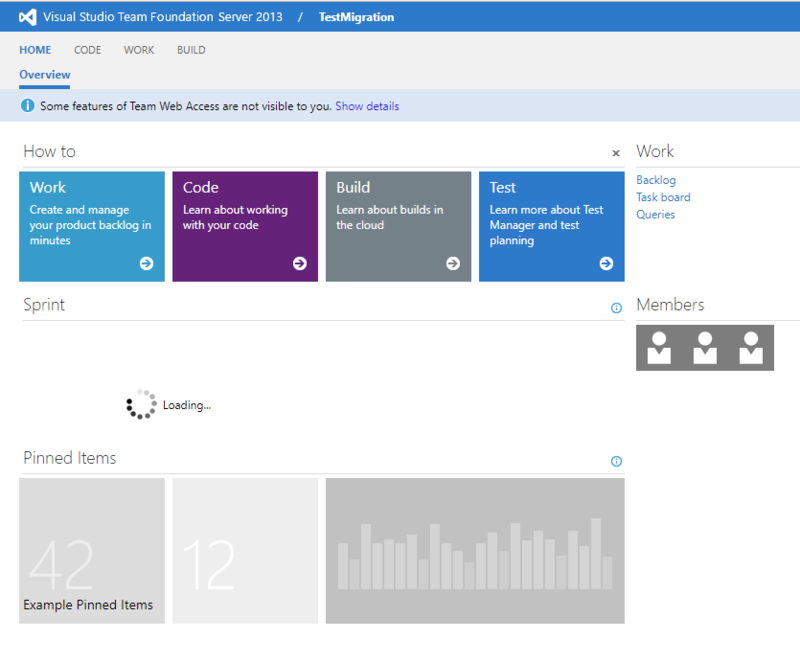 Posted on March 22, 2018 March 23, 2018 Author Ricci Gian MariaCategories Team Foundation ServerLeave a comment on TFVC shell extension now published as standalone tool. 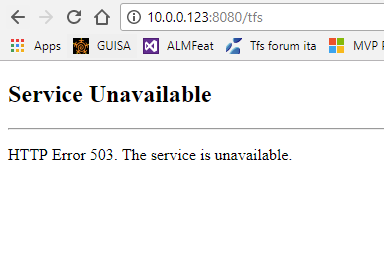 Yesterday I’ve started an old virtual machine with an old version of TFS and when I try to access the instance I got a “Service Unavailable” error. 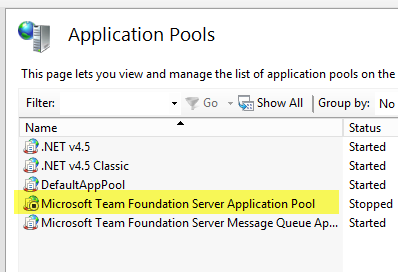 Figure 2: The application pool in IIS is stopped. 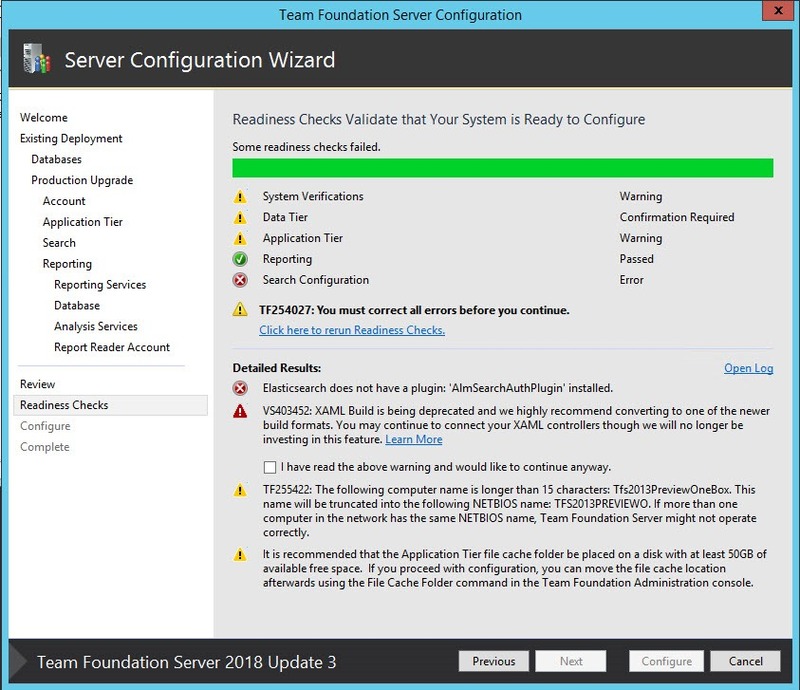 As you can verify from Figure 2, the IIS app pool used to run service is stopped, if I tried to start again the pool, it immediately stopped again. This is usually the symptom of bad authentication, this means that the pool is running with wrong user credentials. You can verify this in Event Viewer log, but absolutely avoid messing with the setting of the Application Pools directly, this is a task that should be demanded to the administration console. 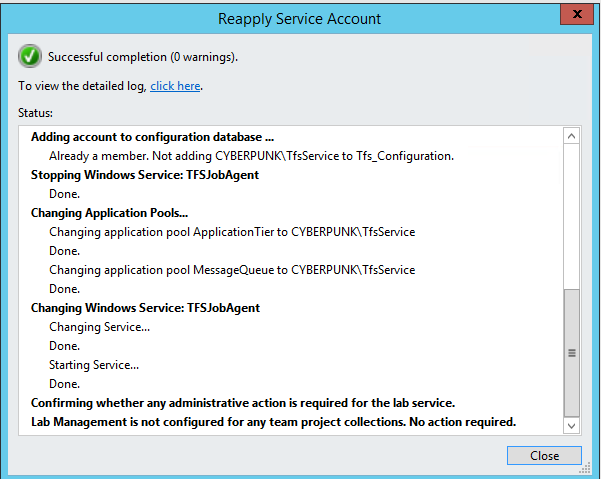 Figure 3: Application tier configuration, you can view Service Account user. 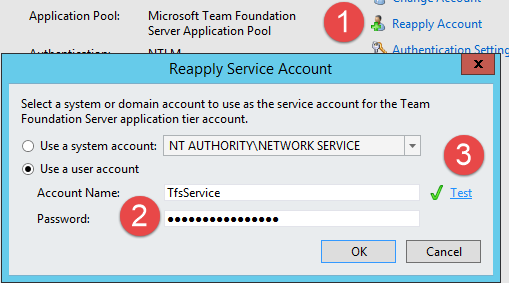 You can run Service Account with standard NETWORK SERVICE account, but I prefer using specific domain account, because I have more control on how all TFS Services will authenticate on the other machine of the domain. I changed the password of that account a couple of month ago, but that specific VM was never updated with the new credentials. This is something that can happens in a domain, especially if you care about security and you force every account to change password every certain number of months. 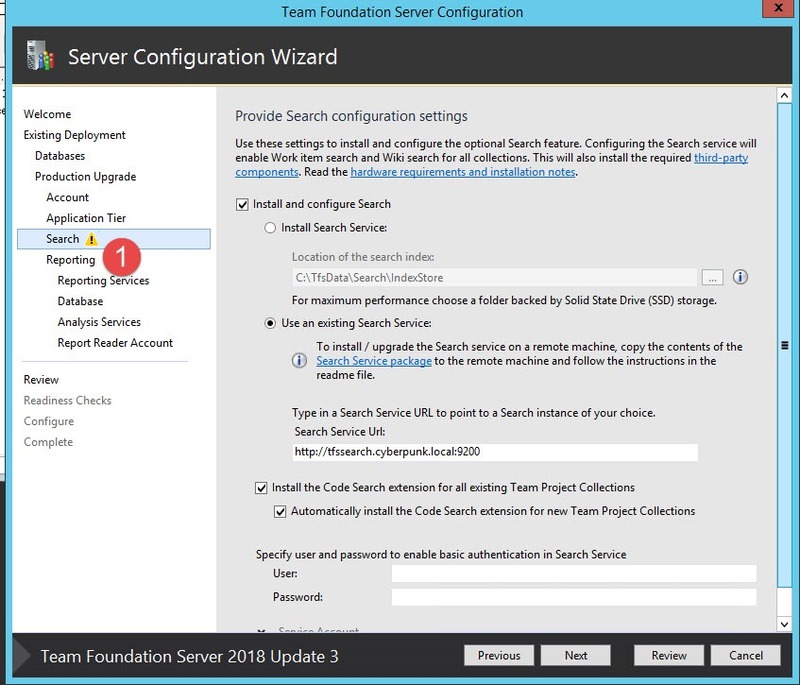 In this scenario my TFS instance cannot start again because it was still configured with the old password, but you can fix it with a couple of clicks. Figure 4: Reapplying account can save your days when password of service user account of TFS was changed. 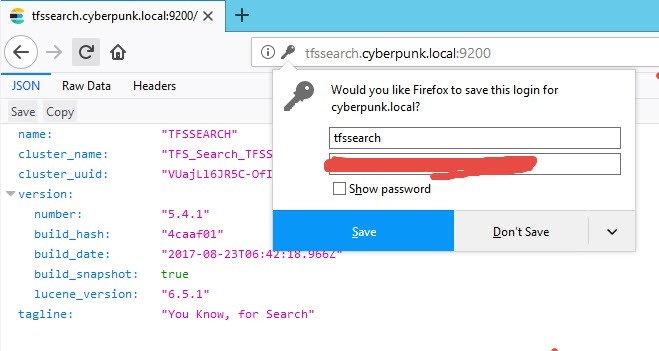 If you look in figure 4, the solution is really simple, because the Reapply Account command gives you the ability to re-enter the new password for the account, use the test function to verify that it is correct and once you press OK, the administration console takes care of everything. Figure 5: Result of re-applying the account. As you can see in Figure 5, the account is used not only in the application Tier, but also for Message Queue, TFSJobAgent and so on. This is the reason why I warned you not to fix the credential in IIS manually, doing this does not fix every place where wrong authentication are used. Everything was green now green in the console, so I immediately tried to access the instance again, to verify that indeed everything is up and running again. Figure 6: Everything is up and running again.